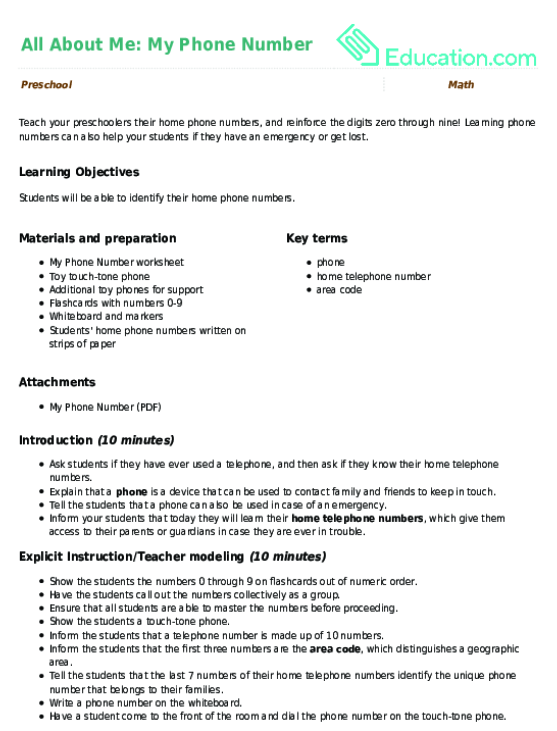 Once kids enter year one, it's important for them to learn personal information such as their home address and phone number in case of emergency. 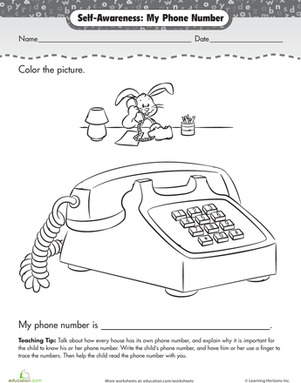 Help your youngster memorize her home phone number—and have fun doing it—with this cute coloring page. 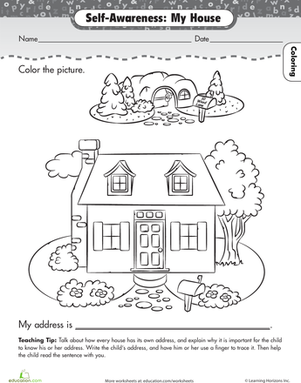 Teach your child her home address with this Coloring page. 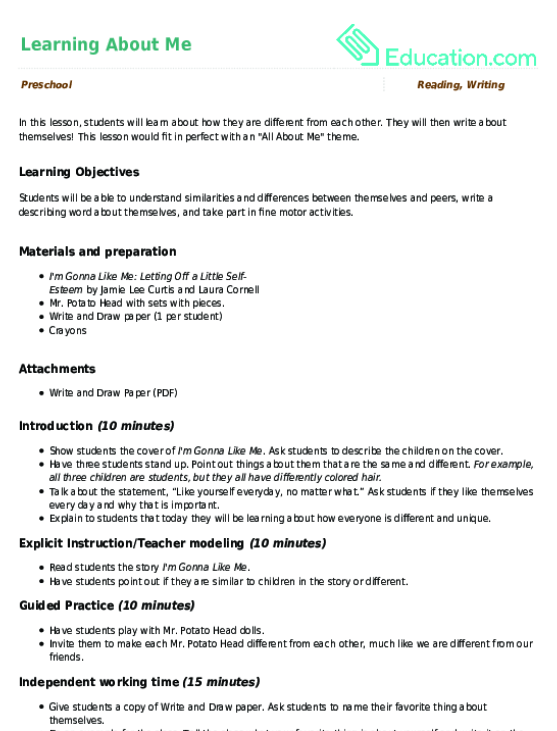 In this lesson, students will learn about how they are different from each other. They will then write about themselves! 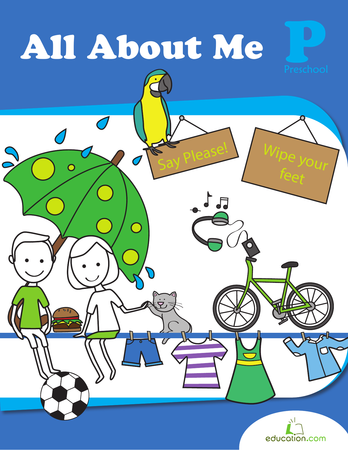 This lesson would fit in perfect with an "All About Me" theme. I am me, and there's no one else I'd rather be! 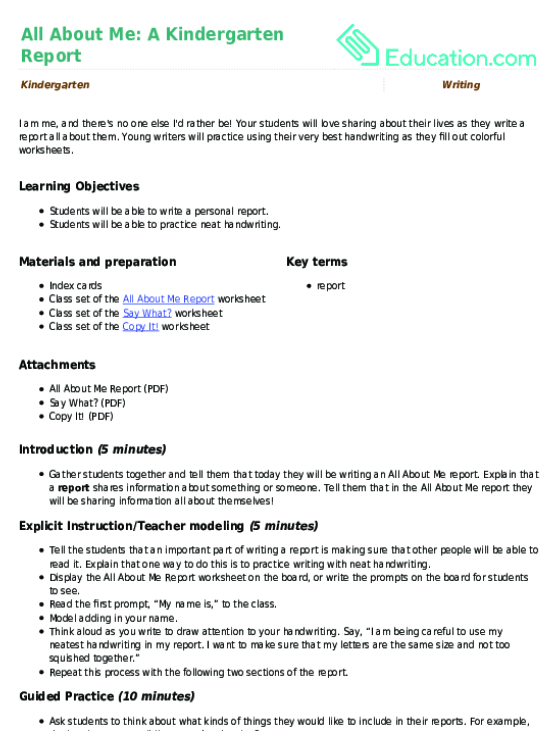 Your students will love sharing about their lives as they write a report all about them. Riddle me this, riddle me that! 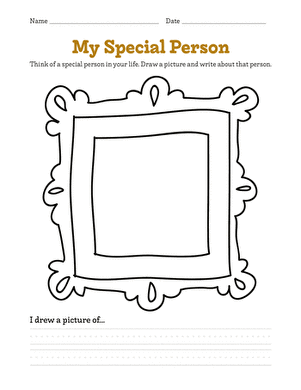 This worksheet includes reading comprehension as well as drawing fun for your preschooler or kindergartener.